Have you ever imagined what products you could develop if one could coat yarn with precious metals of all kind without any adhesive layer underneath? This is no longer fiction - it is reality. 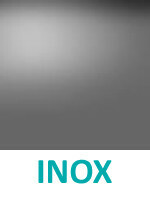 Plasma Metal Coated Yarns, the exclusive opportunity of coating yarns with the metal of your desire. It is now possible to coat continuous filament yarn with the metal of your choice without any adhesive layer underneath by a new process called plasma metal coating. 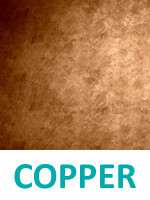 Invented by EMPA Switzerland, this wordwide unique and patented technology has the potential to open new markets as it combines the characteristics of the metal (such as conductivity) with those of a filament yarn (such as touch, workability, ...) while providing an excellent adhesion of the metal. Why Plasma Metal Coated Yarns? Coating a filament yarn by the plasma coating method gives much better wear, a perfect level coating and little to no conductivity fluctuation compared to usual techniques of coating yarn with metal. Plasma metal coated yarns are easy to process in the textile chain and products on the fashion side have a wonderful noble appearance. Furthermore, they are easy to adapt to customer's requirements such as count, conducivity or base yarn material. Plasma metal coated yarns are the only ones in the world that provide flexiblity, very high conductivity and longevity thanks to its new production process, where no chemo-galvanical methods are used. This is a huge advantage for demanding applications. The final product is easy care. The big problems that all metalized yarns have - brittleness and low adhesion - is inexistent for Plasma Metal Coated yarns. What has been produced so far? or check out the product website for Plasma Metal Coated Yarn. Despite being coated with silver, plasma metal coated yarn feel just like a normal textile yarn and is just as versatile. The silver coating holds perfectly onto the yarn. 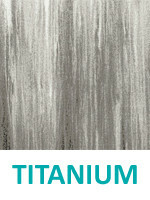 Due to the plasma coating production process, the silver is not brittle and will not crumble off the yarn. Ideal for automation applications, where uniform conducitvity is important to keep performance at a steady level and reaction margins extremely narrow. 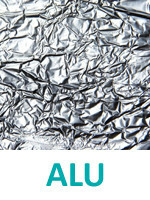 There is no layer of any other metal or adhesive substance underneath like it is with other metalization processes. Yet, Plasma Metal Coated Yarns provide excellent adhesion of the metal on the yarn - much better than traditional methods. 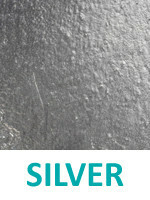 Additional to the standard programme, SwicoSilver yarn can also be made with the properties you need. This includes conducitivity values, base yarn material counts or twist. We do everything so that the yarns are easy to process for you. Which possibilities have been produced so far? Base yarn of all SwicoGold stocks is PET FDY. Other base materials - such as Nylon, PP, etc. - exclusively upon order. Plasma Metal Coated yarn can be tailored upon your requirements. Also, friction textured HE or Set yarn can be coated which provides a "geometric" elasticity to the product. Everything is possible as long as the yarn is a continuous filament yarn with a count of between dtex 8 - dtex 550. For what kind of application are Plasma Metal Coated Yarn suitable? Where can you find Plasma Metal Coated Yarn so far implemented? 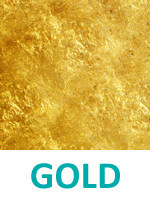 Please refer to the according section of SwicoGold or SwicoSilver for more information. 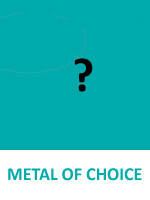 What to do when you are interested in Plasma Metal Coated yarns. Please use the below plasma coated yarn checklist (.docx file - attention, not the same checklist as for other Swicofil products) and send it completely filled in to us by email.